December 29, 2016 9:12 pm. NEW Zealand isn’t a very big country, but horse racing is huge and that’s reflected in its number of operating race tracks. New Zealand Racing currently has 52 race tracks and 65 Racing and Jockey Clubs. Among the 52 tracks are big city courses such as Ellerslie and Riccarton, but there are a number of smaller tracks which are only used a couple of times a year. Auckland and Waikato are the two biggest provinces for horse racing and that’s where some of the best race tracks are located. There are three major race tracks in Auckland, most notably Ellerslie which hosts three major carnivals each year and Waikato has a wide array of city and country-style tracks which are used heavily throughout the year. Betting on the big tracks is often a good way to make money and bookmakers such as WilliamHill.com.au and CrownBet.com.au offer betting on all New Zealand meetings. We have compiled a list of New Zealand’s best racing tracks. Ellerslie is one of New Zealand’s premier racetracks which is the home of the Auckland Summer Carnival and Auckland Cup Carnival. The Summer Carnival features the Group 1 Railway Stakes and the Group 3 City of Auckland Cup which are two of Auckland’s most sought after races. 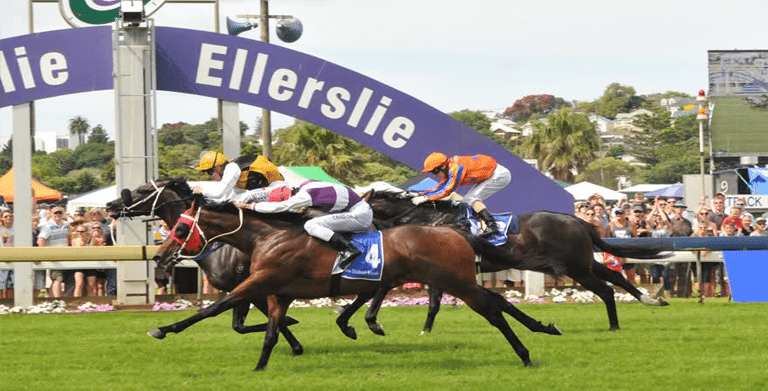 Ellerslie hosts three meetings over the Christmas holiday period with one meeting on Boxing Day, New Year’s Day and a meeting in between the two. The Karaka Million is also hosted by Ellerslie for the two-year-olds which have been purchased at the Karaka Sales in South Auckland. Pukekohe isn’t one of the most well-known tracks to punters living outside of New Zealand, but there has been plenty of money invested in the South Auckland track and it is promoted as one of the fairest tracks in the country. For years the track was used heavily and it even attracted champion mare Sunline to the track, but a series of track renovations held back racing on the surface. Those completions are now finished and Pukekohe, whilst not used in regularity, hosts a few major meetings throughout the year which includes the Counties Cup. It’s one of the best tracks to bet on in New Zealand and our bookmakers have odds for every Pukekohe meeting. The premier racetrack in Waikato, Te Rapa hosts regular meetings which include metropolitan meetings on Saturdays and midweek meetings on Wednesdays and Fridays. Te Rapa is a left-handed track with a long straight and an interesting track bias which New Zealand punters have worked out. In the first few races on the card there is a major leaders bias, so jockeys will often fight for the lead, but that drastically changes for the remainder of the card where the back runners often flash home late. Te Rapa is the host for the Waikato Cup, Waikato Guineas and the Foxbridge Plate which is one of the major races throughout the year. Matamata is widely used as a midweek venue, but it’s one of the best punting tracks in the Waikato. Located in the heart of the Waikato where some of New Zealand’s best trainers operate from, Matamata is ideally located for trainers from both Waikato and Auckland. The best aspect about Matamata is the size of the fields it attracts. Matamata usually attracts maximum numbers at midweek meetings which provides great betting opportunities for both favourite and long-shot punters. Look for midweek meetings at Matamata which are more frequently used in the winter months. 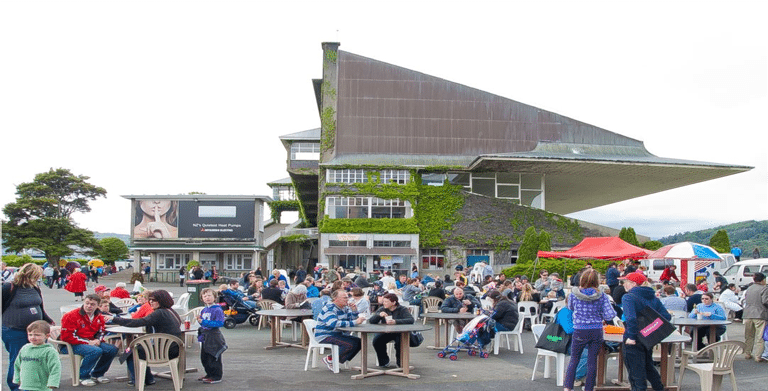 Trentham is the major lower North Island track which hosts some of New Zealand’s biggest races. Located in wet-and-wild Wellington, Trentham endures the world of New Zealand’s weather, but still remains one of the premier tracks. The Wellington Cup is a favourite for many local punters in New Zealand as it is a true test of stamina. Trentham also plays host to the Group 1 Telegraph Handicap which has been won by some of New Zealand’s best sprinters. Due to some track renovations and poor luck with weather, Trentham hasn’t been used with regularity, but expect to see more meetings in the coming years. Located in Palmerston North, Awapuni is one of the premier country tracks in New Zealand which also hosts some major races. Awapuni is the home of the Sires’ Produce Stakes, Manawatu Breeders’ Stakes, Rangitikei Gold Cup and it also hosts numerous jumps meetings in the winter. There are 11 premier meetings in total held during the year which gives punters a good look at the track and it usually plays fair to runners of all varieties. Betting at Awapuni will be very rewarding as there is no track bias and the surface is one of the best in New Zealand. We wish the list was longer than just Riccarton, but the South Island is mainly home to country-styled tracks which host only a couple of meetings a year. Riccarton is the central track in the South Island, located in Christchurch, and it hosts the New Zealand Cup Carnival in November. It is one of the biggest tracks in New Zealand and it closely resembles Flemington in Australia. The Cup and Show Week attracts the big punters as it is four days of racing action spread over seven days. Punters always feel safe betting at Riccarton, knowing they will get a level racing surface with some great racing action.